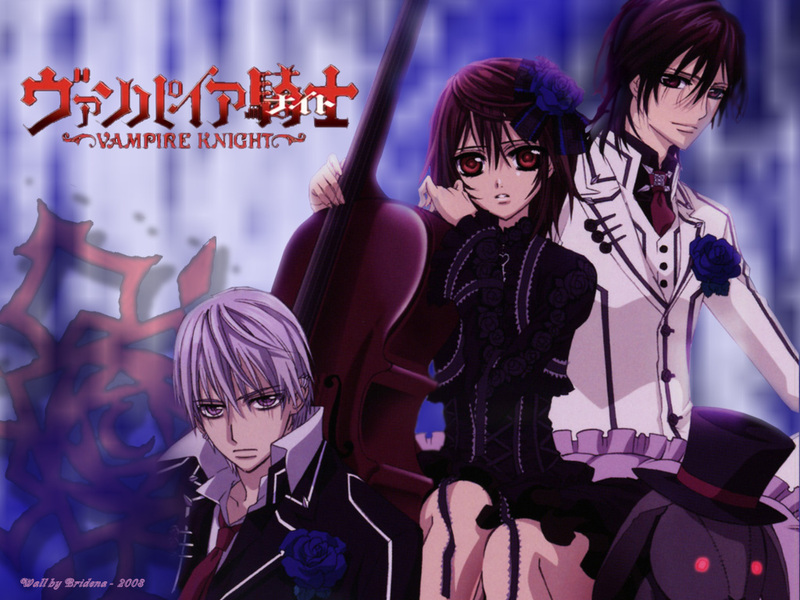 This page is all about the show Vampire Knight. It is about a school called Cross Academy with 2 types of classes. The Day Class and Night Class. 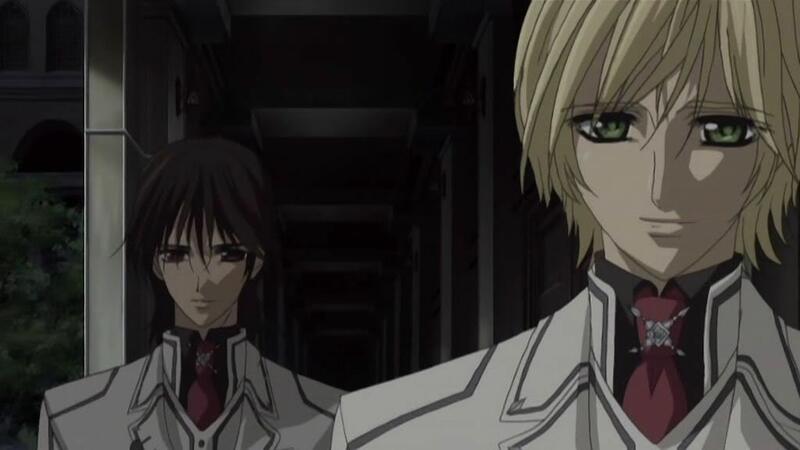 2 students named Yuuki Cross and Zero Kiryu are members of the Disciplinary Committee, who protect the Night class's secret. The secret of the Night Class is, that everyone in the Night Class are all VAMPIRES. 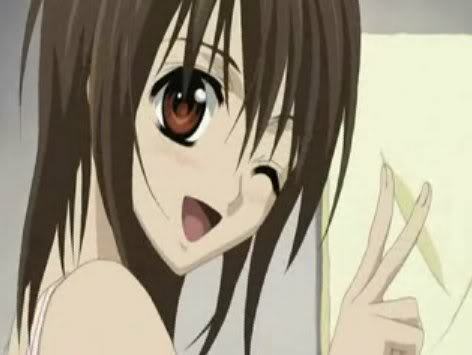 The girl Yuuki Cross is in love with the Night Class president Kaname Kuran. 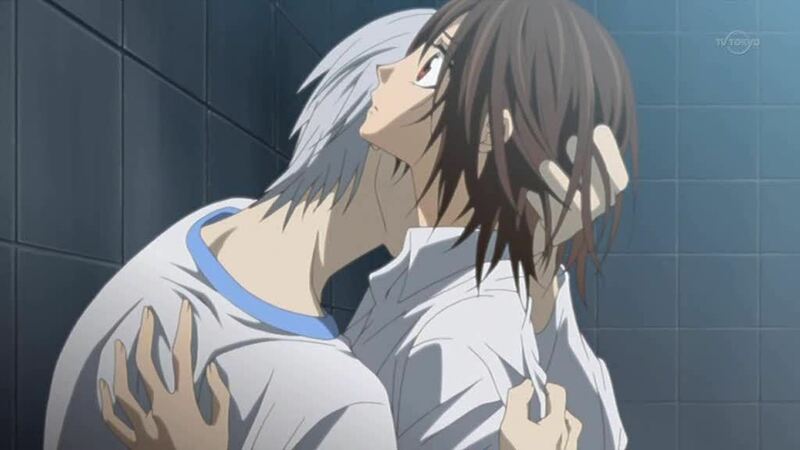 For you see when Yuuki was 5 Kaname saved her from a mad vampire. 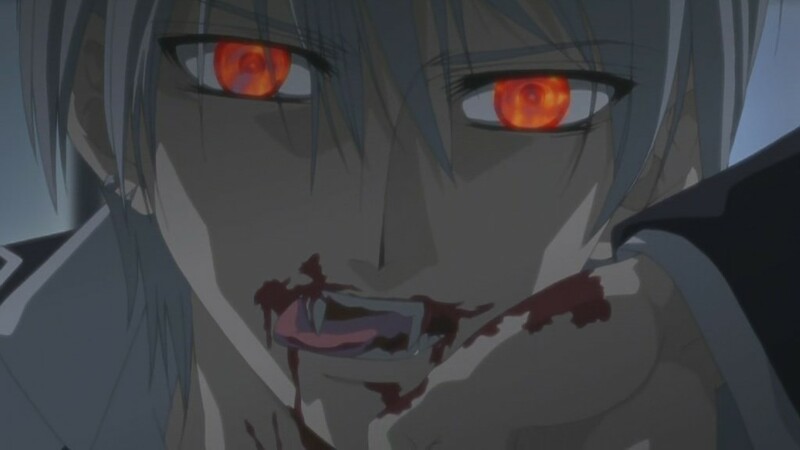 Unfortunatley the boy Zero Kiryu doesn't like vampires. His entire family was killed by a powerful vampire when he was a 13, in addition, his family was Vampire Hunters. Yuuki's adoptive father is the chairman of Cross Academy, and dreams that in creating this school humans could coexist with vampires peacefully. The feeling is mutual with Yuuki, not so much with Zero. It is hard for Zero to accept that not all vampires are evil, especially after all he's been through. Can the coexistance between the humans and vampires be realized? 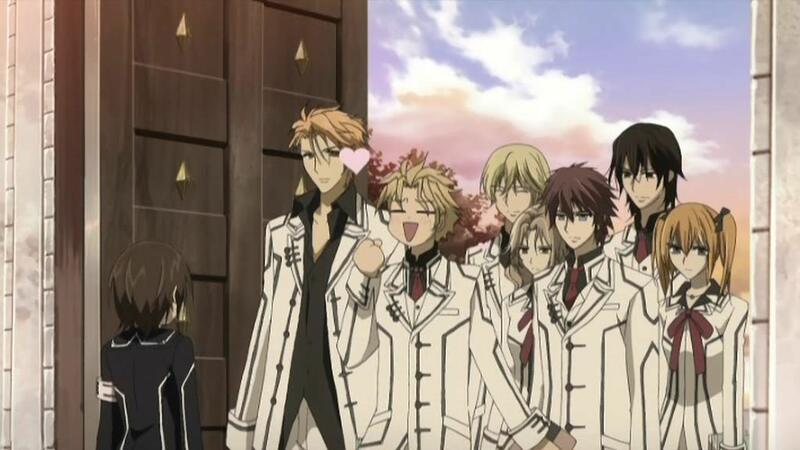 Below are a list of characters from Vampire Knight. Yuuki Cross-A girl who attends Cross Academy Day Class. She is a member of the Disciplinary Committee, so she is one of the only people who knows the Night Class's secret. When she was 5 she was attacked by a mad vampire. 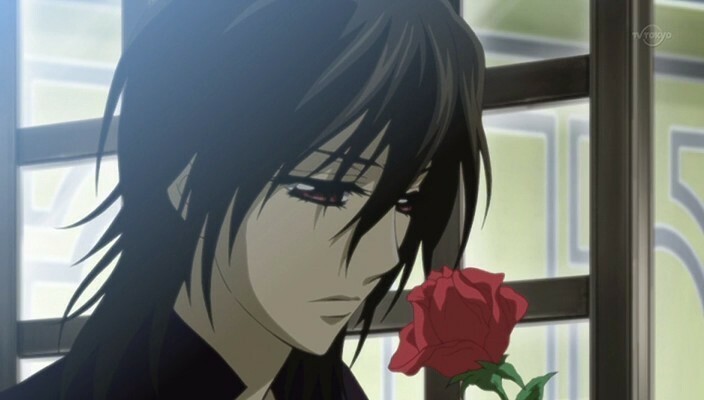 She was saved by a boy named Kaname Kuran. She has no memories other than that day, and forward. She secretly loves Kaname. Her adoptive father is the chairman of Cross Academy. 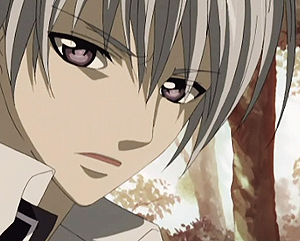 Zero Kiryu-A boy who goes to Cross Academy Day Class. He is a member of the Disciplinary Committee. When he was 13 his family was killed by a vampire, so he was taken in by the chairman of Cross Academy. But he was not legally adopted. Zero hates vampires and is always late for his classes and duties. He is feared by everyone in the Day Class. He aims to find the most affected way to kill Vampires. Kaien Cross-The chairman of Cross Academy. He created the academy so humans and vampires could coexist peacefully. 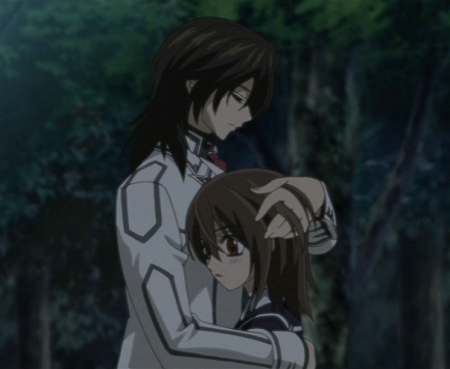 The feeling is mutual with his adoptive daughter Yuuki. He is very eccentric and in my opinion weird. 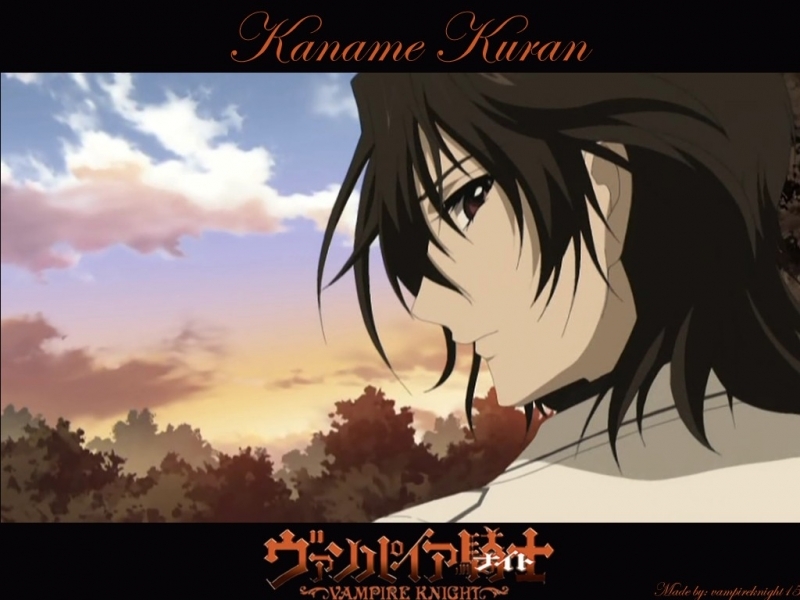 Kaname Kuran-A boy who goes to Cross Academy Night Class. He is the Night Class president. He is very protective of Yuuki as is Zero. 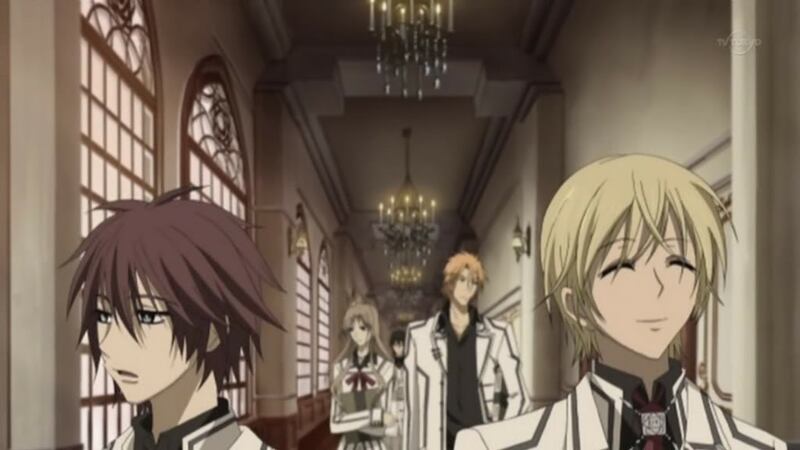 Kaname comes from a family of a powerful breed of vampire. He saved Yuuki from a mad vampire when she was 5. 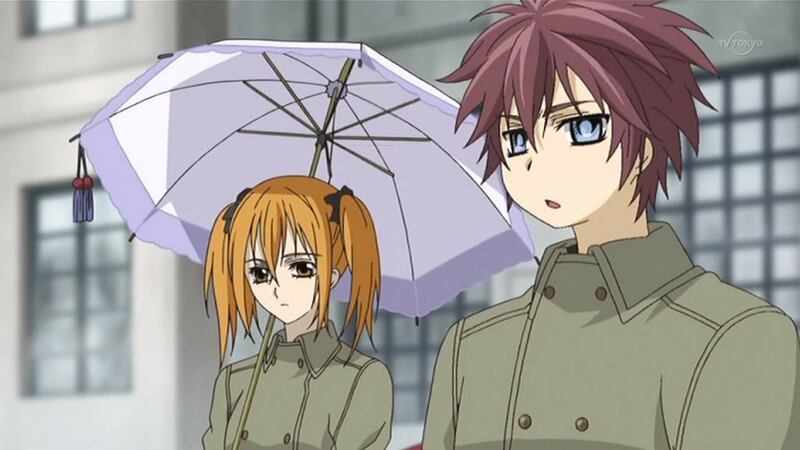 Hanabusa Aido-A boy who goes to Cross Academy Night Class. He is a close friend of Kaname. He can control Ice. He has a cousin named Kain Akatsuki in the Night Class. He was nicknamed Idol by the day class girls. Kain Akatsuki-A boy who goes to Cross Academy Night Class. He is the cousin of Hanabusa Aido. He has the power to control fire. He was nicknamed Wild by the Day Class girls. Shiki Senri-A boy in the Night Class at Cross Academy. Shiki can control a blood whip from his body. Shiki usually hangs around a girl named Rima Toya. I think he may like Rima. Rima Toya-A girl in Cross Academy Night Class. She can control lightning. She usually hangs around with Shiki Senri. I think she likes Shiki. Ruka Souen-A girl in Cross Academy Night Class. 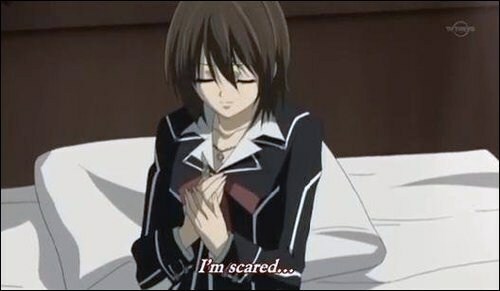 She, like Yuuki, likes Kaname. And she dislikes Yuuki for liking Kaname. 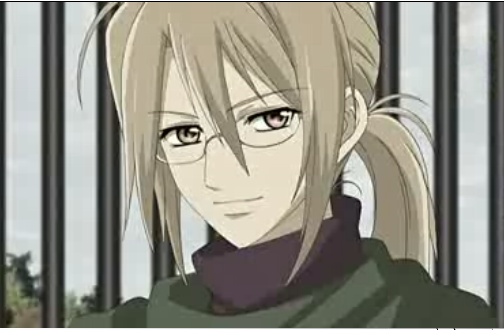 Takuma Ichijou-A boy who goes to Cross Academy Night Class. 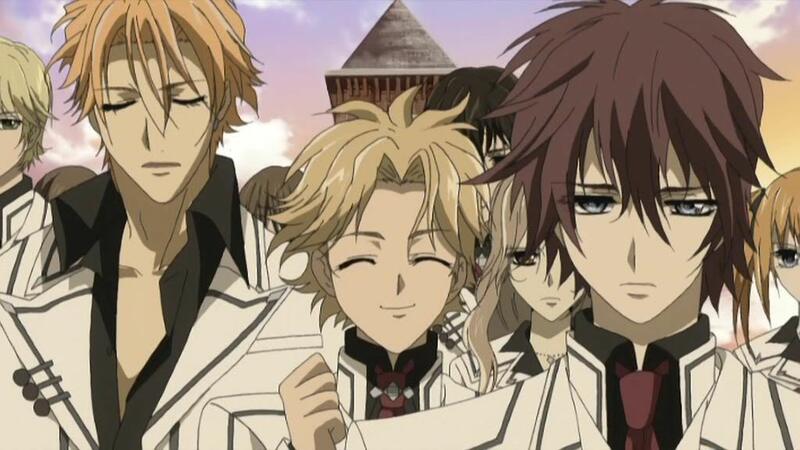 He is a close and loyal friend of Kaname. He is the vice president of the Night Class.